Online advertising has become very popular in the recent years. It is helping business firms in reaching to a broader set of the audience all over the world thereby playing a crucial role in their overall growth and expansion.Nowadays, there are plenty of companies that are offering ad services to businesses and are helping them to reach a wider audience throughout the globe.Clickadu is one such ad network company that has made a big name for itself in the online advertising world.Here, we have come up with Clickadu Review so as to give you a good idea of what this advertising network has in store for you. 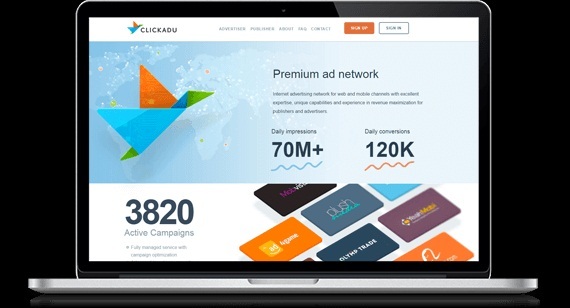 Clickadu is a premium pop-under advertising platform that is offering services for both advertisers as well as publishers.Founded in 2014 and located in the Czech Republic, Clickadu is serving potential advertisers and reputable publishers worldwide.In fact, Clickadu is grossing at over 130 million impressions/day which is impressive. It is delivering ad impressions in over 240 countries. The ad Network follows the CPM Revenue Model.It reviews sites before approving them. However, they lay down very few requirements that sites must follow. Generally, the review process is completed within 24 hours. The best thing about Clickadu is the fact that it allows advertisers and publishers to use Pop-Under Ads through their network. These ads show up in front of the user when the page is closed.Pop-under Ads are non-intrusive in nature since they do not hamper the experience of the user as they go on to navigate your web page. Instead, they show up once the user has decided to leave your website.The Pop-under ads do not bother the user and still create the opportunity for ad revenue once they are done. Moreover, Pop-under Ads have one of the highest click-through rates for all ad types.They are highly effective in generating revenue as they command the full attention of the user before they are closed. They specialize in Pop-Under Advertising and is one of the best at implementing it. The network has no minimum traffic requirements, so it enables even entry-level publishers to join and use the network immediately.So, Clickadu is helping smaller publishers in extending their reach across the web. Clickadu endeavors to establish good working relationships with webmasters in their early stages and hopes to continue that relationship as they grow their online business further.As per the installation is concerned, it is simple and easy to install. Moreover, their easy installation and quick approval process make them one of the best advertising network out there. In fact, Clickadu is a great option for those that have just started with online advertising and do not have the traffic to sustain more traditional ad types.Plus, the network offers multiple and on-demand withdrawal options for publishers. They have a reliable payment process and pay their publishers promptly.Their pop-under ads provide higher conversion rates than traditional ad types and regularly outperform display ads across all networks. Top Quality Services and Tools: Clickadu uses top quality ad server technology helping advertisers reach maximum audience thereby supporting them to expand their business and achieve milestones. They have successfully built a widespread network in over 240 countries. Easy Sign Up: Advertisers willing to join Clickadu Ad Network are required to fill a sign-up form. It is an easy and simple process. Once it is done, an account manager will contact you and guide you through the further procedure. Easy Promotion: Advertisers can promote their products and services on their publisher websites easily. However, they have to ensure that the Clickadu terms and policies are not violated.  They prohibit the promotion of links containing viruses. Payment Methods: Network offers many payment methods for adding money to your account. Payments can be made through Paypal, Payoneer, and various other payment options are also available they pay on bi-weekly and monthly basis. Advertisers can start their advertising campaigns once they have made the deposits. Minimal Budget: The minimum amount to start an advertising campaign is just $50. Plus, advertisers get full control over their daily expenditure on advertising. So, advertisers get to plan their budget and spend accordingly. Specific Ad Targeting: Clickadu enables advertisers to target a specific audience by choosing websites on which you want to post your ads. So, you can make sure that your targeted audience sees your ads. Monitor Frauds: The network ensures that no fraudulent activity happens with your ads. It monitors, detects, and prevents fraud clicks on ads posted by you on the publisher site. No Restriction on Website Type: Clickadu accepts different types of websites such as micro sites, entertainment sites, gaming sites, blogs, adult sites, and much more. However, ad network prohibits the use of illegal websites and fraud clicks attempts. Finding Advertisers: Clickadu makes sure that you get the most relevant advertisers for your website from all over the world. It ensures that most appropriate ads are seen by suitable persons. Anti-malware Protection: Clickadu provides numerous tools for anti-malware protection with auto-detection of harmful campaigns. Analysis System: Clickadu provides an excellent analysis system that enables you to easily track the earnings and clicks by logging to your account and accessing the dashboard. Payments: Network has adopted the bi-weekly and monthly basis payment method. The minimum payout threshold is $100. Payments are made through Paypal, Payoneer, Wire Transfer, Web Money, Paxum, and E-payments. This ad network has a clean track record of making payments to its publishers.